In their introduction to the exhibition Bahia no Ibirapuera (Bahia in Ibirapuera) at the 5th Sao Paulo Biennial (1959), Italian architect Lina Bo Bardi and Brazilian theater director Martim Gonçalves argued the ephemeral materials they used were a deliberate renunciation of “the undesired eternity of the work of art.” The result argued for the ephemeral qualities of experience, and the value of the popular art and culture of its Afro-Brazilian population. This position was a departure from Bo Bardi’s work, until then characterized by alliances with Sao Paulo’s ruling class in the production of a high modernism of industrial materials. Bo Bardi and Gonçalves were part of local Brazilian developments interested in a participative and sensorial ethos, but their work also fits within larger discourses, including Antonio Gramsci’s writings on folklore, the work of the Independent Group, and the research and interests of Bernard Rudolfsky. In Brazil, these aesthetic discourses took place in the context of the accelerated industrialization of the country. The developmentalist policies of president Juscelino Kubitschek modernized Brazil, but also increased inflation and wealth inequality, particularly in areas like Bahia, still marked by centuries of slavery. Bo Bardi and Gonçalves’s exhibition was, in both form and content, a political statement, and their tactics, Leon argues, were part of a larger turn toward ideas of participation, ephemerality and sensorial affect. They point to the growing skepticism and concern prompted by the accelerated growth of certain regions during the cold war, from Brazilian developmentalism to the Italian economic miracle. Trained as both an architect and an architectural historian, Ana María Leon has become an increasingly recognized voice in opening up bold new directions of research and paradigms of pedagogy in architectural scholarship. Her work revolves around histories of resistance in architecture as well as bringing to light the voices that have been silenced in the predominantly patriarchal academy to date. 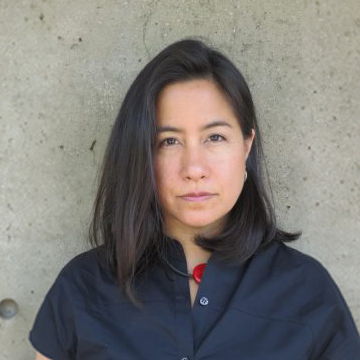 Her research focuses on the intersection of modernity, pedagogy and politics in art and architecture, with special emphasis on networks between the Americas and Europe. Another theme is the translation of ideas across distant sites as a consequence of migration or exile. And she is interested in public space as the ground where states and their constituents come into contact.